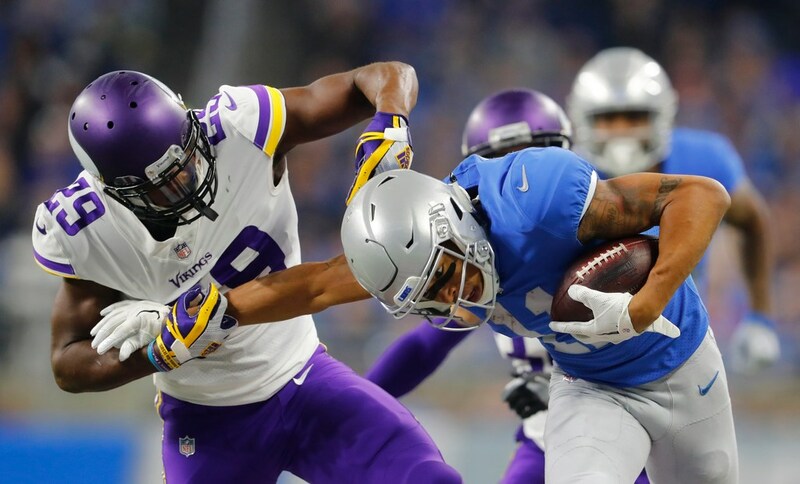 Cornerback Xavier Rhodes returned to practice Thursday, a good sign the Vikings injured defender can play Sunday against the Bengals. Rhodes injured his hip during last week’s loss in Carolina and was held out of Wednesday’s practice. He was limited Thursday. Still sidelined were tight end Kyle Rudolph (ankle), left tackle Riley Reiff (ankle), cornerback Mackensie Alexander (chest) and tight end Blake Bell (shoudler). The Vikings may lean on swing tackle Rashod Hill for a sixth straight week, this time at left tackle where Reiff was injured in Carolina. Center Pat Elflein (shoulder) and right tackle Mike Remmers (low back) have been limited in practice this week. Minnesota has been down to two tight ends at practice this week, including David Morgan who was still in the concussion protocol as of Wednesday. He was a full participant Thursday, meaning he could soon clear the protocol. Morgan and Kyle Carter, who could be elevated from the practice squad, were again the only tight ends at practice Thursday. So the Vikings brought in two free agents for a workout this week: Sam Cotton (6-4, 250 pounds) went undrafted out of Nebraska and Steve Donatell (6-6, 241 pounds) was undrafted from Western Kentucky. Cotton was initially signed by the Patritos; Donatell by the Seahawks. Mailbag: Concerns about the run defense? Playoff matchups?